Welcome to my RuneScape Offer, make sure to make trades on livechat at the website. 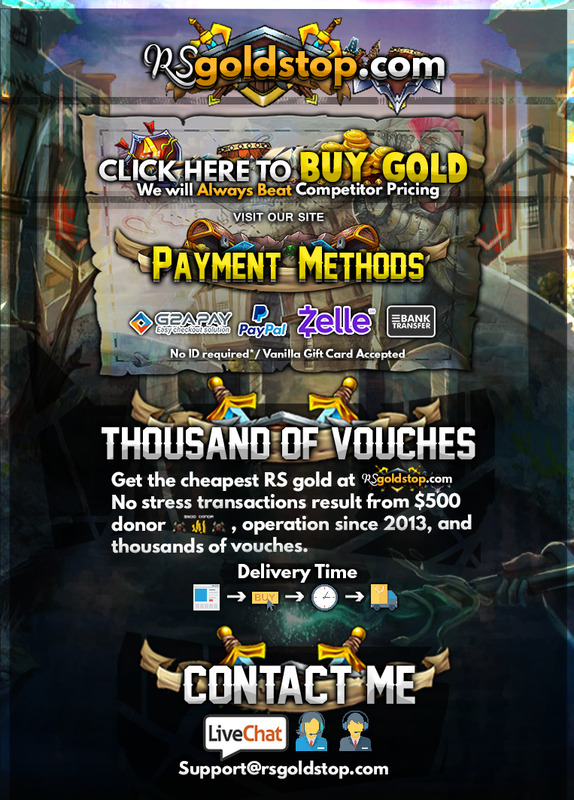 Have your gold delivered within a few minutes after it is paid! We have been in the market for over 4 years, we have a 100% client satisfaction offering the best rates with thousands of vouches, ask for them in the livechat and they will be linked to you. Please always use on-site chat for trades. Using any other contact methods than on-site message puts you in the higher risk of getting scammed.